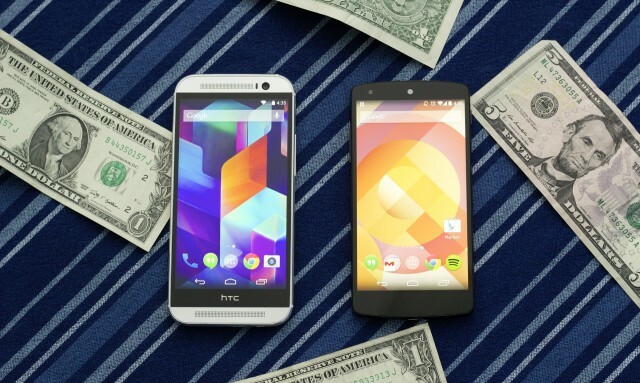 Review: Why buy an HTC One M8 Google play Edition instead of a Nexus 5? HTC's M8 Google Play edition is nice, but is it nice enough to justify the extra cost? A controversial statement: I don’t really care that much for the Nexus 5. Oh, there’s no denying it’s a fine phone. It’s fast, it gets updates quickly, it's solidly built, and its price is unmatched by any other smartphone vendor. These are the things that make the Nexus 5 (and the rest of the Nexus family) popular among the tech set. It’s a really good deal. And yet, it leaves me feeling a little cold. It’s a very plain-looking slab, possessed of no particular style or distinctiveness. Its boxy edges feel awkward in the hand. It is exactly the sum of its parts: on paper it’s superior to something like the Moto X in every possible way, but in practice I’d rather carry Motorola’s phone than Google’s.